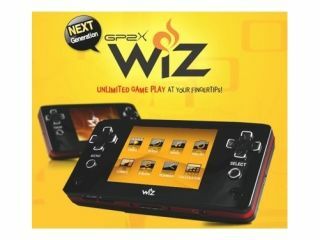 Gamepark is soon to release the GP2X Wiz open source handheld gaming console, with the company informing TechRadar of its plans to open its first "game contents open store" this summer. "GPH is doing R&D for the SDK and soon it will be done," reads the announcement just in from Gamepark's Korean HQ. "Gamepark Holdings Co., Ltd is going to open a game contents open store during August 2009," the statement continues. "From August, 2009 everybody will be able to produce games and other applications and share and sell them with users around the world." So if you fancy making your own games and distributing them to GP2X owners worldwide – in much the same way as with Apple's hugely successful App Store, then you soon will be given that exact opportunity. GPH has been working on the store since November 2008 and will run tests on the store during June 2009 following the launch of the GP2X Wiz in the UK. User feedback will then be used to "make it a perfect experience for everyone" so "you will be able to download free software but also purchase paid programs." The Game Contents Open Store (FunGP) will work online, but also from your GP2X Wiz, using the Wi-Fi Adaptor (to be released separately to the console). Stay tuned for our full and in-depth hands on with the GP2X Wiz due in the coming weeks.